Preparing for the national cooking competition continues. Han Jie and Fang Xiao Rou gives the students feedback on the potato desserts they made in their last practical lesson before Han Jie begins a lesson on bringing out flavour in food. He asks the class to guess his favourite seasoning ingredient. Chen Meng Chen guesses saffron. He’s from Europe and his signature dish uses it. It isn’t. The ordinary seasoning ingredient of table salt is Han Jie’s favourite seasoning ingredient. 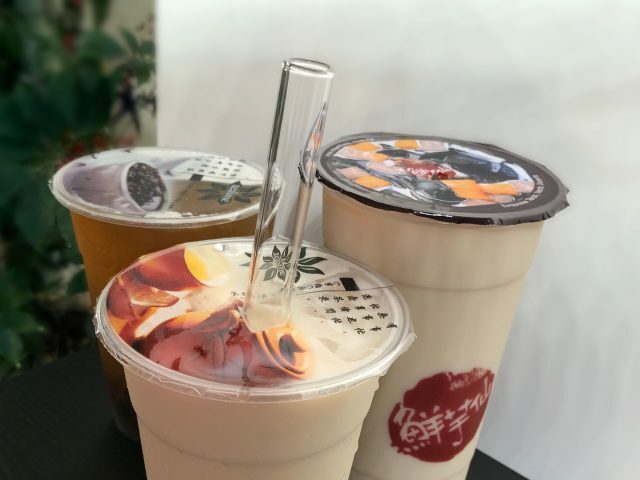 It brings out flavour in food without changing the taste. Demonstrating this, Han Jie carries out an experiment of using different seasoning ingredients on the same piece of a quality cut of steak: mushroom sauce, black pepper sauce, truffle sauce, Chinese pepper sauce and sea salt are used. The pieces with plain seasoning ingredient of sea salt is the one that has students surprised and exclaiming how tasty it is. Bringing food back to its most pure flavour is what cooking is about, Han Jie explains to his students. Salt achieves this that other seasoning ingredients only do well in changing the original flavour of the food. He goes on to explain to his students that a dish filled with sincerity doesn’t need overly expensive ingredients or complex cooking methods. Wang Mai Zhi is one who now understands the importance of not equating worth with monetary value. He’s also now one who calls another superficial. When Kong Meng Zhe expresses how one can never go wrong with the expensive truffle after Han Jie invites him and his fellow classmates to try the steak, and Kong Meng Zhe chooses to try a piece seasoned with truffle sauce, Wang Mai Zhi tells Kong Meng Zhe off for his superficial choice— "Kong Meng Zhe, you’re so superficial. Didn’t Teacher Han tell us that if we have to choose, don’t choose the most expensive. Choose what matches." Wang Mai Zhi also shows he’s the less superficial one out of Kong Meng Zhe when Kong Meng Zhe continues with trying the one he’s selected to try. Wang Mai Zhi, however, he goes to try the one seasoned with salt after he hears Wei Qi Zhen express the tastiness of it. This scene between Kong Meng Zhe and Wang Mai Zhi seems to show Wang Mai Zhi is becoming less superficial-minded and there is someone more superficial than he is now. The students are informed of a final training session that will see their performance assessed: anonymously create a warm and sincere dish that has the ability to move the heart of the person they draw out to sample their dish and have them correctly guess that they have made it. The kiss Wei Qi Zhen gave to Wang Mai Zhi is filling up his time and thoughts. It entered into his mind when he made eye contact with Wei Qi Zhen in class. It’s one that still has him touching where she had kissed him and it makes him erupt into a silly smile. 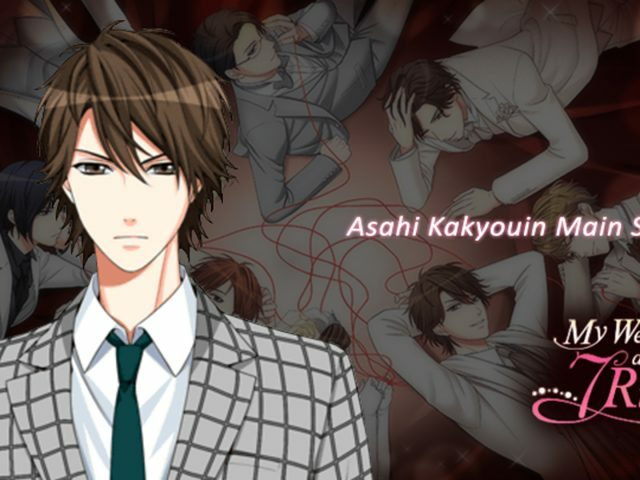 The kiss has also made him think why Wei Qi Zhen needs to define what good friends can and can’t do. 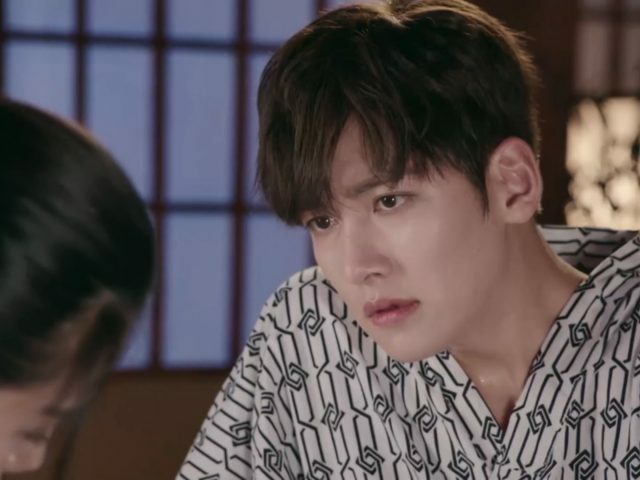 Before school, he went to Ma Chong Sheng asking if there was any difference since he and Liu Xuan went from good friends to boyfriend and girlfriend. With your girlfriend, you can hold hands, but you can’t with good friends, Ma Chong Sheng explains. Wang Mai Zhi wants to know if there is anything else—have you kissed or hugged? Ma Chong Sheng hasn’t kissed or hugged Liu Xuan. He doesn’t want to scare her, but he hopes to do so in steps when he gets selected to participate in the national cooking competition. Wang Mai Zhi therefore is still in the dark about why Wei Qi Zhen wanted to define what good friends can and can’t do. 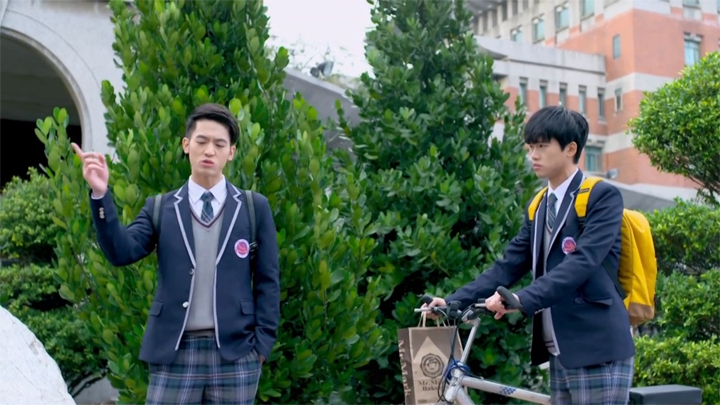 He takes up on the offer of help that Fang Xiao Rou gives when she bumps into him looking troubled as he walked through the outdoor school walkway. "Why do girls love being so fussy and define what good friends can and can’t do?" he asks Fang Xiao Rou. First teasingWang Mai Zhi about liking the girl (to which Wang Mai Zhi quickly goes to deny) and then not understanding why he is trying to figure out the thoughts of the girl when he says he’s finding it all so frustrating, Fang Xiao Rou suggests for him to go directly ask the girl to get the answer. But problem is he doesn’t know how to ask, Wang Mai Zhi says. Moreover, he’s not sure whether or not he truly likes the girl. He just knows he cares a lot about her. "Do you care about her in the same way that you do with other girls in the class?" Fang Xiao Rou asks Wang Mai Zhi. Though the care isn’t the same between this girl and the others in his classes, it’s unbelievable for a guy like him, the hottest guy on Earth, to come to like someone who isn’t the school beauty or a goddess, Wang Mai Zhi answers. The heart is the most important, Fang Xiao Rou says to Wang Mai Zhi after calling him an amoral brat for his superficial comment. “Does your heart flutter?” Wang Mai Zhi doesn’t know. 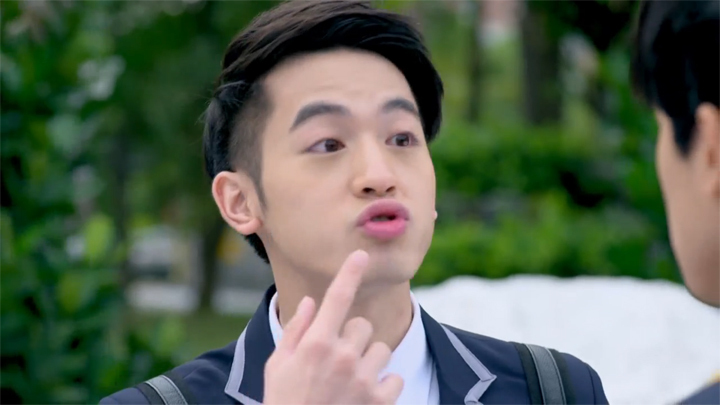 However, he knows a way he can determine the answer with how Fang Xiao Rou responds to his questions: “Have you ever initiated a kiss with Teacher Han?” and “After you kissed Teacher Han, did he touch the place you kissed then kept smiling foolishly?” Fang Xiao Rou’s reaction is denial and shyness. Wang Mai Zhi say he understands. “It’s only when you really like a guy that you’ll initiate a kiss, right? And hence you’ll become shy like this,” he says after seeing Fang Xiao Rou’s shy expression—one that Wang Mai Zhi says is like the one Wei Qi Zhen had. Now understanding everything, Wang Mai Zhi only needs to be able to meet up with Wei Qi Zhen. 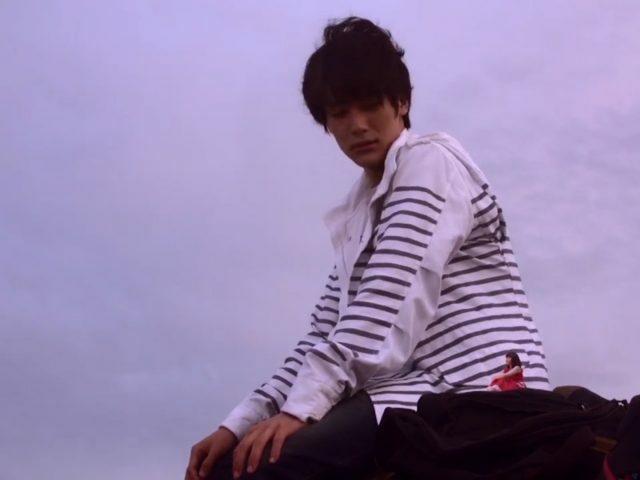 After the kiss, he has been finding it difficult to meet up with Wei Qi Zhen. She been managing to get away from him after class with people helping her get away and she doesn’t answer his calls. Kidnapping her bicycle and threatening to disassemble it is the way Wang Mai Zhi makes Wei Qi Zhen go to him and meet up at the basketball court. He first tells Wei Qi Zhen off for being so hard to reach before he takes time to check on her flu. He then offers to take her home on her bicycle. Wei Qi Zhen declines. She doesn’t want a repeat of last time where his poor bicycling skills cause them both to crash to the ground. But to not bruise Wang Mai Zhi’s ego, Wei Qi Zhen reasons it’s that she’s thinking about his hands. She doesn’t want them to get injured with the national cooking competition approaching. Wang Mai Zhi sees logic and changes to offering to walk her home—this, Wei Qi Zhen agrees. It’s some moments of walking in silence with slight awkwardness with Wei Qi Zhen peering up to look at Wang Mai Zhi before turning back to the front and Wang Mai Zhi doing the same. Wang Mai Zhi then begins asking a couple questions that seem to be checking on Wei Qi Zhen’s sincerity as well as her background in the relationship area. "How many good friends do you have?" Wang Mai Zhi asks first. He then asks, "You probably would have defined what good friends can and can’t do before. You didn’t go around doing random things with some stupid guy or just any random guy, did you?" When Wei Qi Zhen gives answers that pleases him, Wang Mai Zhi lets Wei Qi Zhen know that there will be an end-of-year giveaway for her. However, she must work hard and make it to the five heading into the national cooking competition. Only then is she able to collect on this super secret gift that will make her regret to death if she isn’t able to get it. 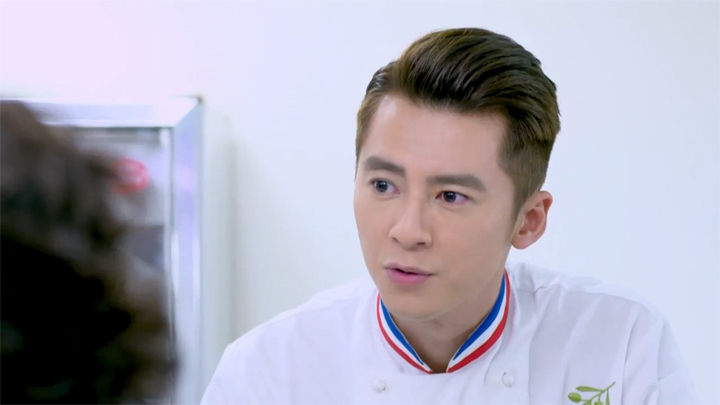 Chris is doing well to make Han Jie feel the pressure to do well to realise Fang Xiao Rou’s dream of winning the national cooking competition even though Fang Xiao Rou tells him that winning isn’t her dream, but being able to fulfill it with him is. 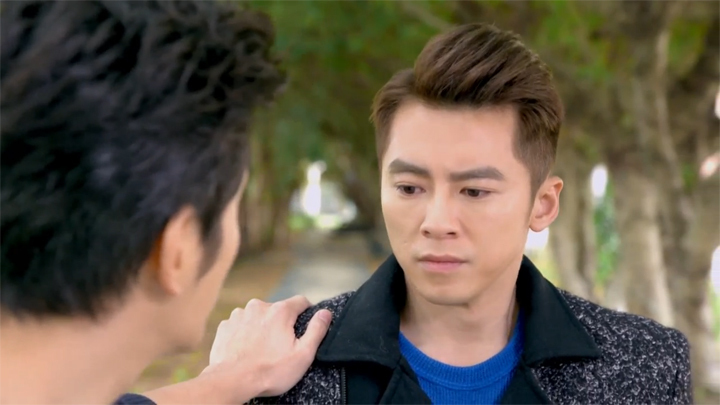 Chris continues to try to get to Han Jie through Fang Xiao Rou. He’s there early in the morning offering Fang Xiao Rou a ride. Fang Xiao Rou is late to work and takes up on his offer, but not before she messages Han Jie to let him know about it before accepting it. However, this gives Chris the opportunity to steal her phone and send a message saying she was going on a date with him. He also eats the choux pastry that Fang Xiao Rou made for Han Jie. Han Jie isn’t angry about the two things. Han Jie only reminds Fang Xiao Rou to not be so close to Chris or believe the things he says since he, himself isn’t able to make out what’s true and what’s false. 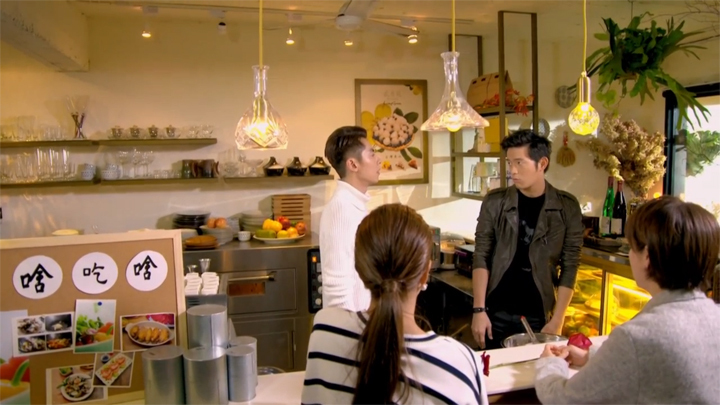 Chris tries to get to Han Jie again during their cooking battle where Fang Xiao Rou and Jiang Pei Ying are present as judges. "Do you remember during our school days it was this dessert you used to chase after Jessica in our class?" Chris asks Han Jie. Fang Xiao Rou’s attention goes to Han Jie, but it doesn’t stir anything up when Han Jie tells Chris he didn’t confess to Jessica. Chris changes the name—”It wasn’t? Oh! It was Victoria!” Chris tries again. Not much of a reaction comes from Han Jie when he simply says he’s talking nonsense and it’s just a scrunch of a face from Fang Xiao Rou for Chris’ playfulness. Chris gets closer when he makes a comment about him mixing all the occasions up because Han Jie was a confession maniac. 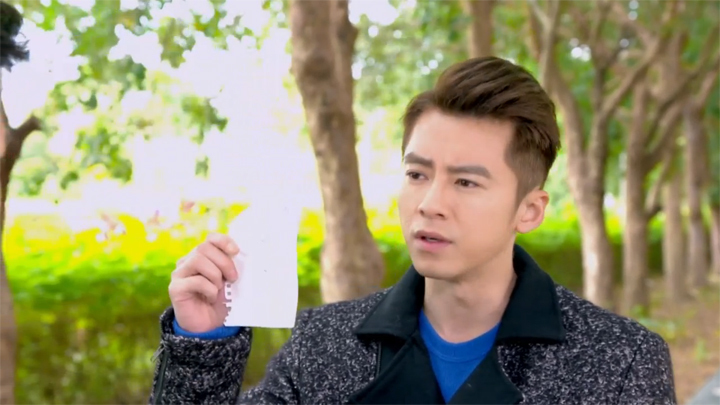 Fang Xiao Rou is now surprised and looks to Han Jie for his response. Jiang Pei Ying, the best friend she is, she asks Han Jie for clarification: "Is this true or false?" Of course it’s false, Han Jie answers then turns to Chris—"Don’t think that you’ll be able to aggravate me just by using these little tricks," he says as he’s whipping up the egg whites in the bowl he is holding. 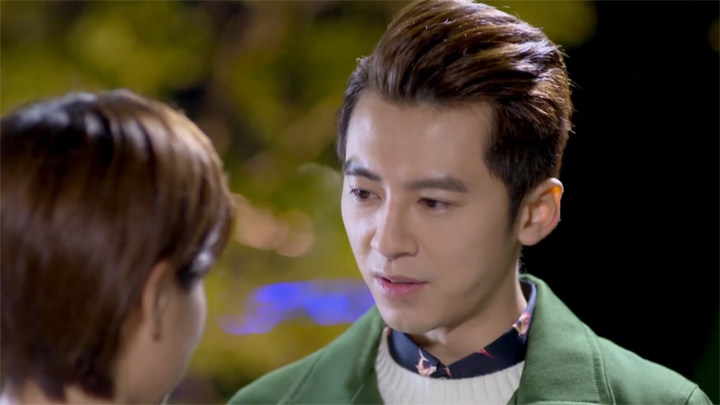 But Chris’ little tricks does end up getting to Han Jie when Chris comes up with another lie: “I forgot that it’s your usual thing to tell all girls they are your first love. 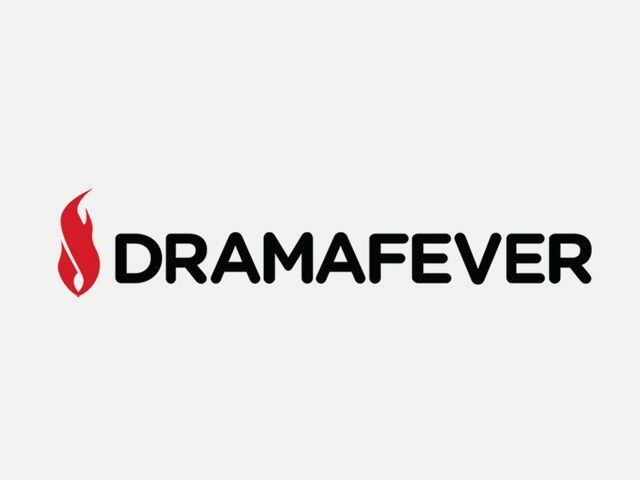 I’m sorry, I’m sorry.” When Chris turns to Fang Xiao Rou to tell her that everything he had said before was false, Han Jie stops cooking, slaps a hand to Chris’ arm and asks him what he was on about and finds him incredibly ridiculous. Fang Xiao Rou quickly steps in to calm the situation down. 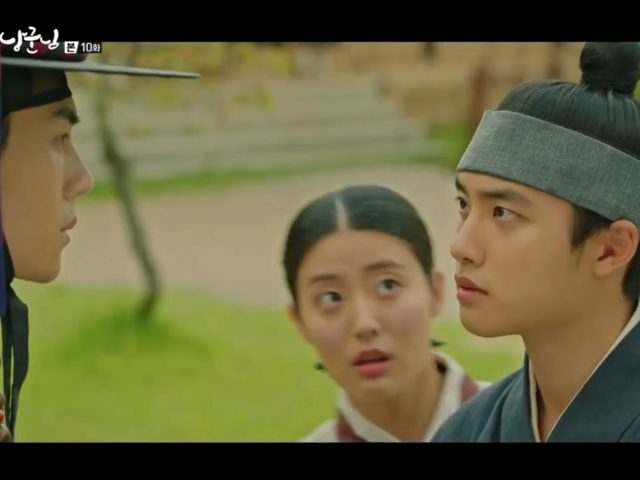 "From now on, I won’t listen," she tells Han Jie and shows him she won’t be able to hear anything when she goes to block her ears with her fingers. Han Jie goes back to concentrating on his cooking. He must concentrate as well when the stakes for losing the competition is high: the loser must give up cooking. Both Han Jie and Chris complete their desserts and they are placed before their two judges, Fang Xiao Rou and Jiang Pei Ying. 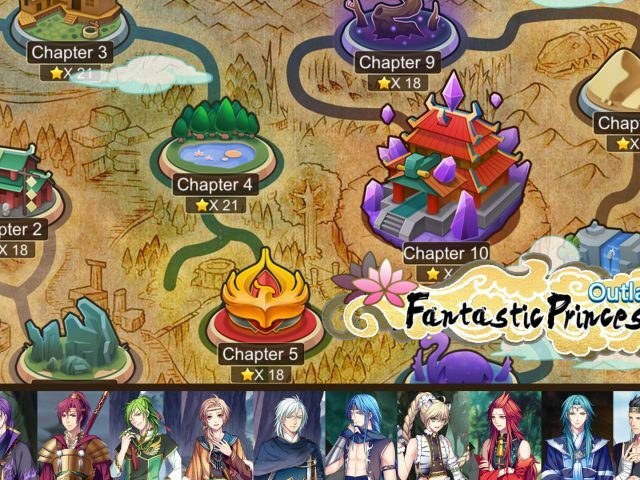 But before Fang Xiao Rou and Jiang Pei Ying begins judging them, Chris wishes to make the battle a bit more interesting. 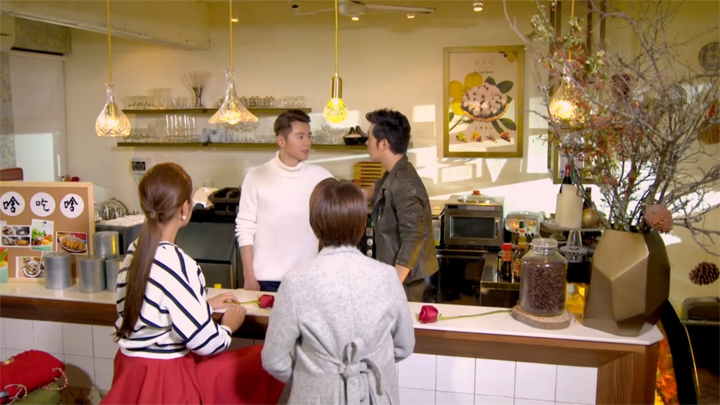 Chris suggests to Han Jie to agree to allow the other to add a bit of decoration to the other’s dessert. Jiang Pei Ying doesn’t allow it, worried that it’s a trick. Han Jie, however, assures Jiang Pei Ying that chefs will never ruin a dish and allows it. Judging begins. Jiang Pei Ying is first to judge. It’s praise from her for both of the desserts. She finds it difficult to determine the better one. Fang Xiao Rou then takes her turn to judge. She tries Chris’ dessert and agrees with Jiang Pei Ying that it is a great dessert. With Han Jie’s dessert, however, she barely gets a tip of the fork to it when Han Jie pulls it out from under it. 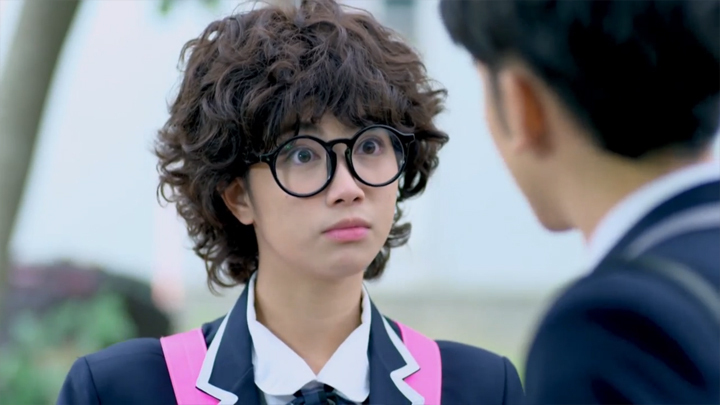 Fang Xiao Rou is shocked why Han Jie didn’t let her judge it. 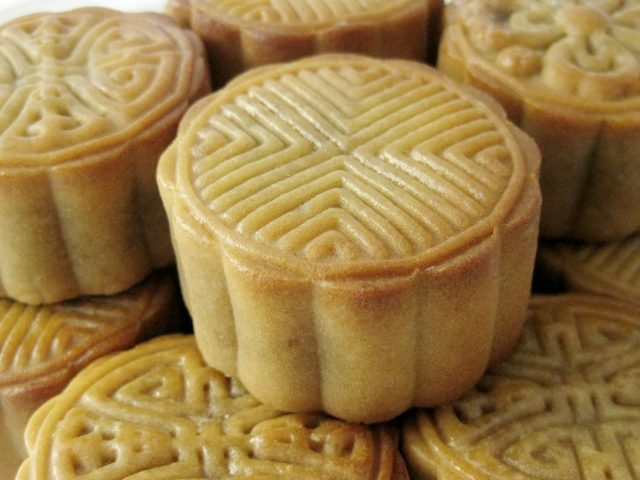 It’s got the ingredient that will bring on an allergic reaction, he explains to Fang Xiao Rou. The addition Chris made to his dessert was peanut powder. "I admit defeat," Han Jie says to Chris. "I can’t allow Xiao Rou to eat this for the sake of our game." 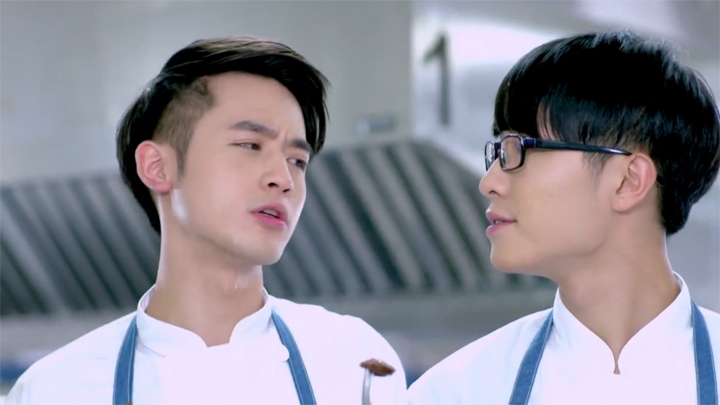 Chris had looked truly shocked when Han Jie informed the addition he made to his dessert is the ingredient Fang Xiao Rou is allergic to and apologises for it. 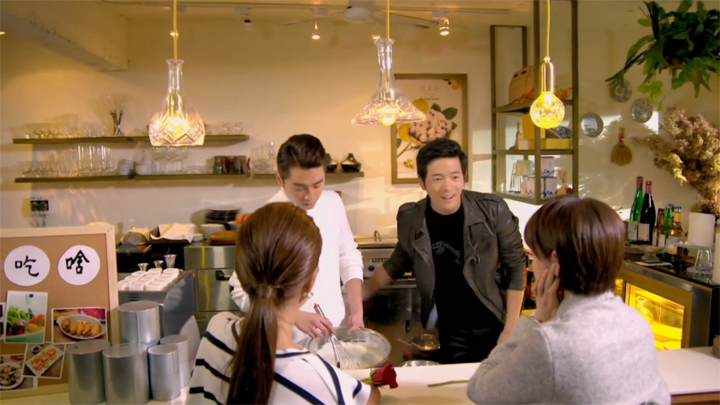 He allows Han Jie to redo his dessert. He even allows a redo of the battle. 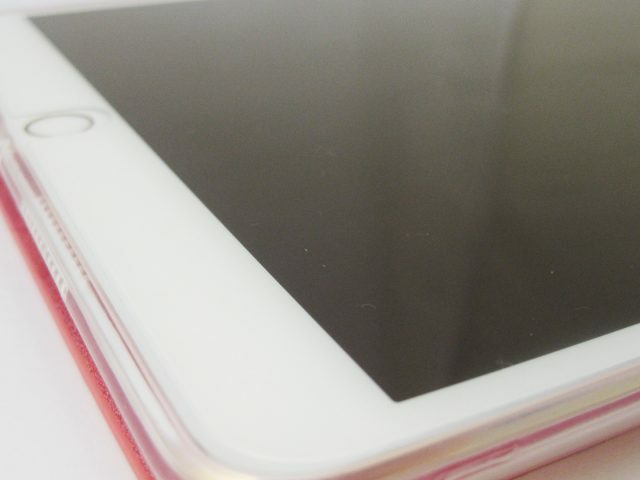 However, Han Jie says it’s not necessary. "I’ve seen your actual strength. I look forward to our 100th challenge. I’ll see you at the National Senior Cooking Competition." Fang Xiao Rou doesn’t understand why Han Jie admitted defeat when the purpose was so that he didn’t have to meet Chris in the competition. She asks Han Jie why he’d done so outside after leaving the restaurant. It’s that his food should bring joy to her not risk her life. She’s more important. He also explains that he’s no longer worried about losing the competition because cooking is about the enjoyment that it brings. Winning isn’t important. 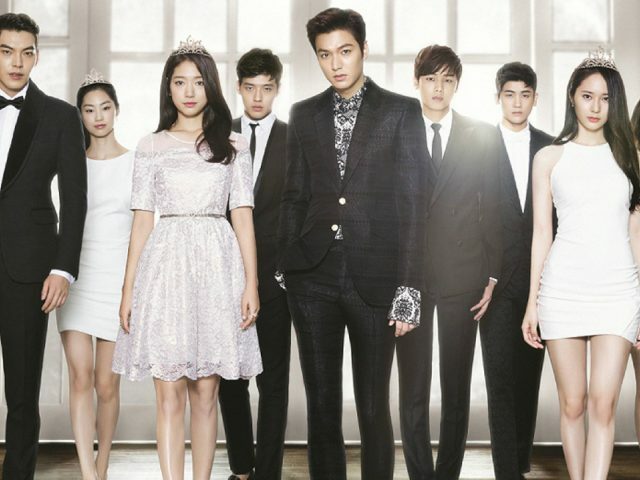 Han Jie seems to have thought it all through and whatever the outcome, things will still be okay: he tells Fang Xiao Rou that if he so happens to lose and must fulfill the bet of giving up cooking, there’s that dessert shop that they can start up—one where he can be the boss and collect the money that is made from the desserts that she makes. 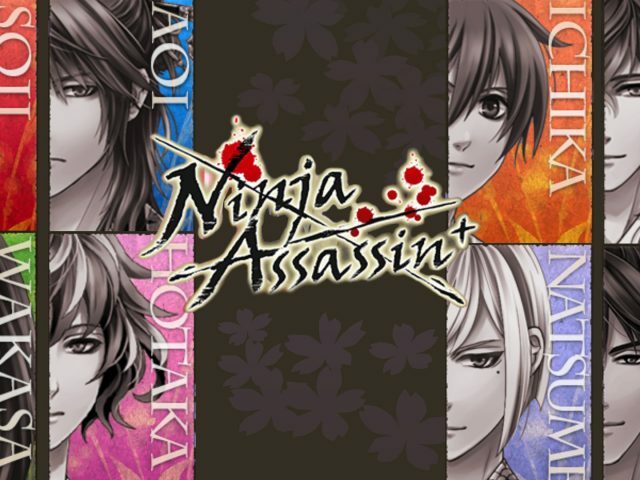 Chris may not be as strong of a competition as Han Jie and Fang Xiao Rou sees him to be, however. Chris’ carefree, playful and confident exterior seems to hide a person with a problem. A curious scene showing some scenes before the cooking battle scene has Chris experimenting with flavours for a dish he was creating. This dish gains Chris a negative reaction from Han Jie. Han Jie had coughed and immediately gone for a glass of water, complaining the dish to be much too spicy to be palatable. 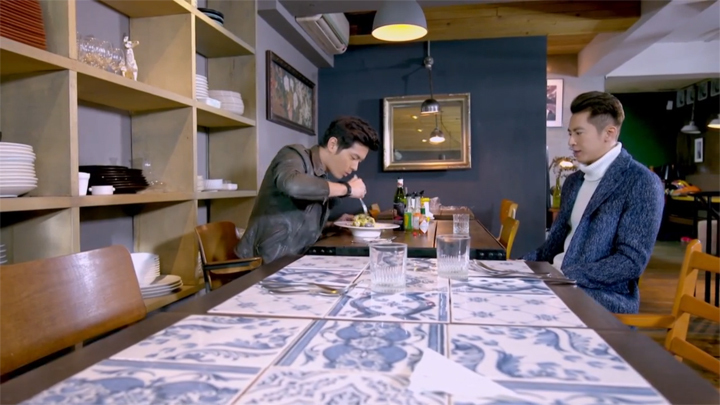 And another scene—one following the cooking battle scene where Han Jie and Fang Xiao Rou returns to the restaurant to retrieve Han Jie’s cellphone he left there: Han Jie finds a piece of paper on the floor that has the recipe for the dessert Chris made for the cooking battle against him. "This is not his style," Han Jie says as he looks at the piece of paper with the recipe. "Chris is an expert in making desserts. What he hates the most is making dishes following rigid recipes." Han Jie goes to Chris for an explanation. Chris puts his hands up, surrendering in being found out of taking desperate measures: "I admit it. For the sake of defeating you in one second this time, I did everything to prepare myself, including studying up on all the cookbooks of the master chefs of cuisine and desserts." Han Jie still finds it odd after Chris’ explanation. He still believes it isn’t Chris’ style. “What happened in the past few years?” Han Jie asks Chris. It’s that his desire to be victorious is now stronger. "Other than beating you, I don’t have a fighting spirit in life," Chris says. We like this week’s episode. We watched everything without a problem. The Han Jie and Fang Xiao Rou side of the story that we had found not interesting to watch for some time was great this week. It helps that all the things that we were uncertain about was finally cleared up in this episode. Chris was lying about all the things he told Fang Xiao Rou: he isn’t interested in men because we hear he is going to be with Jiang Pei Ying for Christmas; he didn’t give his first kiss to Fang Xiao Rou; and he is participating in the national cooking competition because he is Shi Wen High School’s supervising teacher. And something new developing for his character—it’s looking like Chris has lost his sense of taste! This is very sad! Just for this, it makes us want to root for Chris and see him win the cooking competition! We can now see a reason why Chris loves competing with Han Jie so much. That scene where he’s experimenting, it really looks like he’s relying on smelling ingredients to create his dishes. He was seen smelling bottles of chilli ingredients in that scene, looking to find out how spicy it is based on the smell to determine how much to put into his dish. With Han Jie being his old classmate, friend, rival and a three-star chef, he can use the challenges he has with Han Jie to train himself to get more skillful in using his other senses to help him create dishes just as high quality as dishes created through tasting it. That double ring that we wondered about last week, it looks like it is something important. It’s something that seemingly Han Jie wants a lot since we see him ask Chris if he will really let him have the ring if he beats him in the national cooking competition. We wonder why it’s so important, though. 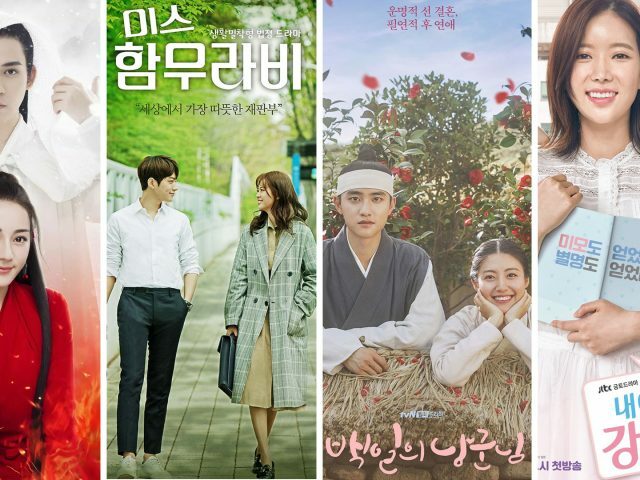 This side of the story is definitely much better now when it’s not just about the lovey-dovey couple, Han Jie and Fang Xiao Rou, with a playful love rival bringing problems that we didn’t find interesting at all. 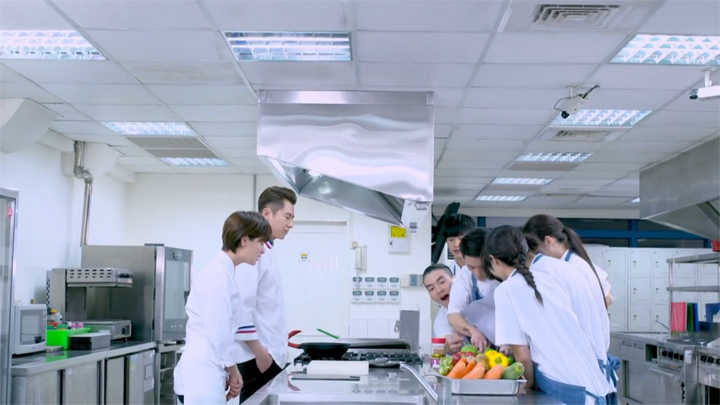 It’s now about the national cooking competition that Han Jie and Fang Xiao Rou are working towards winning and Chris is the interesting character that is moving this plot along. 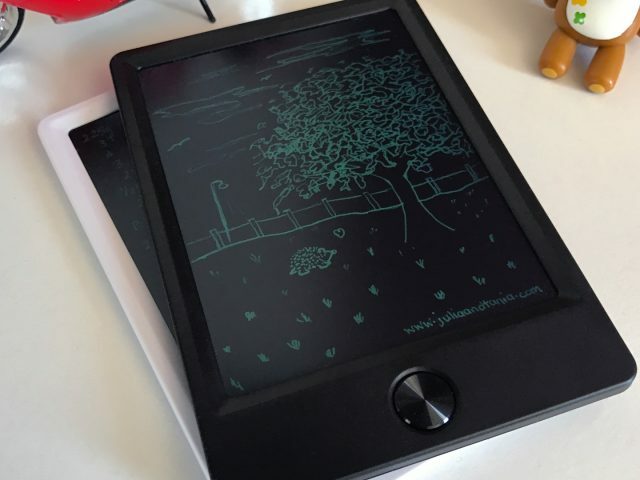 We are looking forward to seeing how things develop. We’ll be looking forward to seeing Chris confirmed to have lost his ability to taste; and if he has, we’ll be seeing how this will affect the competition and the relationship Chris has with Han Jie. We’ll also hope to see a different side of Chris—one showing his serious side maybe. Wang Mai Zhi and Wei Qi Zhen: we always feel there isn’t enough of the Wang Mai Zhi and Wei Qi Zhen parts in the episode. These two are really an interesting pair. In this episode, there was one scene that was significant for the pair—the Wang Mai Zhi walking Wei Qi Zhen home scene. The rest were insignificant scenes of Wang Mai Zhi and Wei Qi Zhen in class and Wang Mai Zhi looking for Wei Qi Zhen. 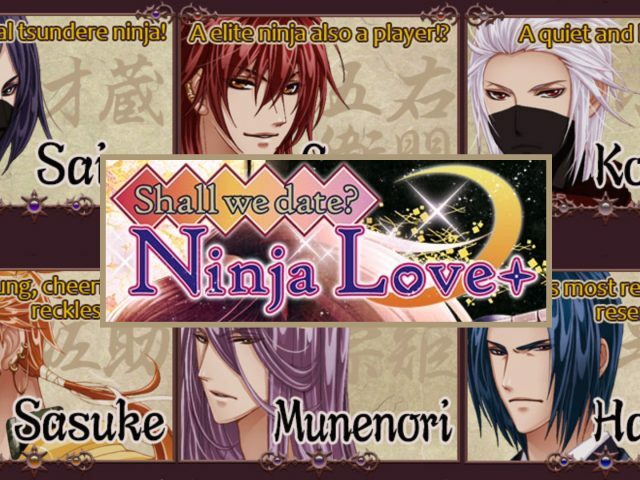 We like the pairing quite a bit, so sometimes we wish these two characters could be taken out of this series and put into a series with the same setting and feel as Love Cuisine, but starring them just so more situations are developed for them and we can see them in a variety of scenes and situations! Hehe. The part where Fang Xiao Rou comes in to give Wang Mai Zhi advice on his relationship problem, we were thinking how odd that the teacher that is put forward to help Wang Mai Zhi with his relationship problem is Fang Xiao Rou. We can see why it’s Fang Xiao Rou that helps Wang Mai Zhi, though: since Han Jie helped Wei Qi Zhen, it’s fitting that Fang Xiao Rou helps Wang Mai Zhi. After all, Wang Mai Zhi and Wei Qi Zhen are pretty much younger Han Jie and Fang Xiao Rou. 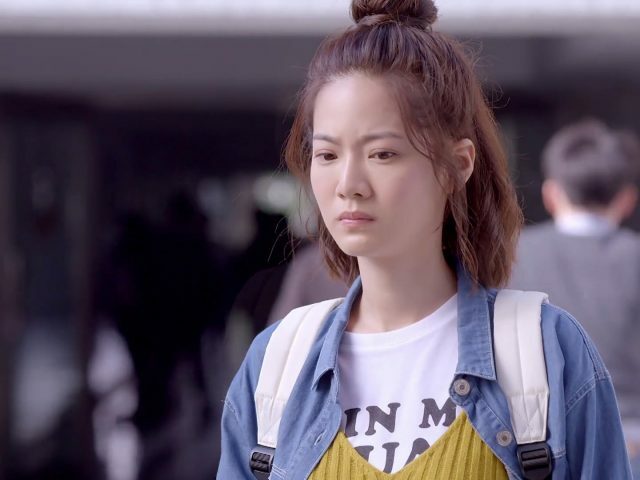 But Fang Xiao Rou isn’t really suitable to give relationship advice when she has been shown to be inexperienced and rather slow to understand things when it comes to relationships. Han Jie said it himself once (Episode 13): he said Wei Qi Zhen was quicker in getting what he was saying than this other person he knows (or something along this line)—this other person being Fang Xiao Rou. The part where Wang Mai Zhi asks Fang Xiao Rou why girls have to define what a good friends can and can’t do and then being asked whether his heart fluttered—Wang Mai Zhi said he understood the situation with Wei Qi Zhen after he realised that it’s only when a girl really likes a guy that she would initiate a kiss and be shy afterwards. This makes it feel like Wang Mai Zhi is saying that he just realised the thing making Wei Qi Zhen define what good friends can and can’t do is her like towards him. 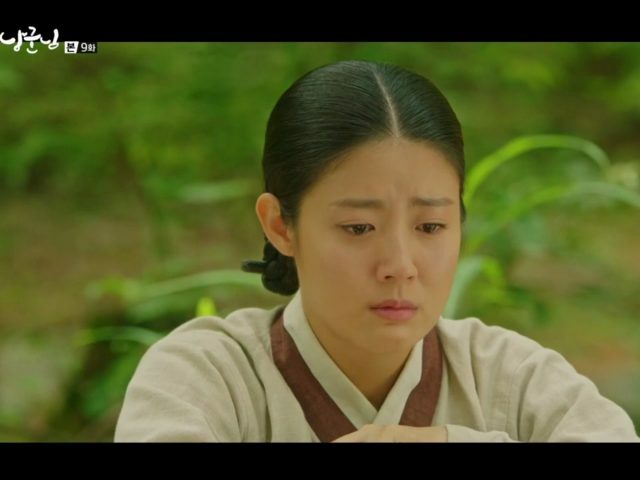 But only realising that she likes him now doesn’t make sense when he should already know this because he found her feelings out for him during the camp trip—unless… this was not the purpose of the scenes and Wang Mai Zhi isn’t clueless about Wei Qi Zhen liking him and what he was trying to figure out was why he was seeing less and less of Wei Qi Zhen after the kiss and he was worried this was because Wei Qi Zhen was showing him another thing good friends can’t do (hang out and talk to each other) and the whole process was to have him realise that it’s not because she was defining boundaries as good friends, but it’s simply her being shy after having kissed him. If so, that makes more sense. And it makes sense why Fang Xiao Rou was the teacher to help Wang Mai Zhi if this is the case. Whatever it was, Wang Mai Zhi is that much closer to accepting Wei Qi Zhen! Wei Qi Zhen was guessing what Wang Mai Zhi’s end-of-year giveaway was and she wondered if it was a life-size cardboard cut out of him or if it was a pillow. No! Even better! The real deal! The actual Wang Mai Zhi! He-he-he-he! Well, that’s what we think! It really can only mean the gift is him! Very cool! We’ll be waiting to see this happen! Yeah! :oD :oD.